You're Invited to a FREE mortgage seminar! 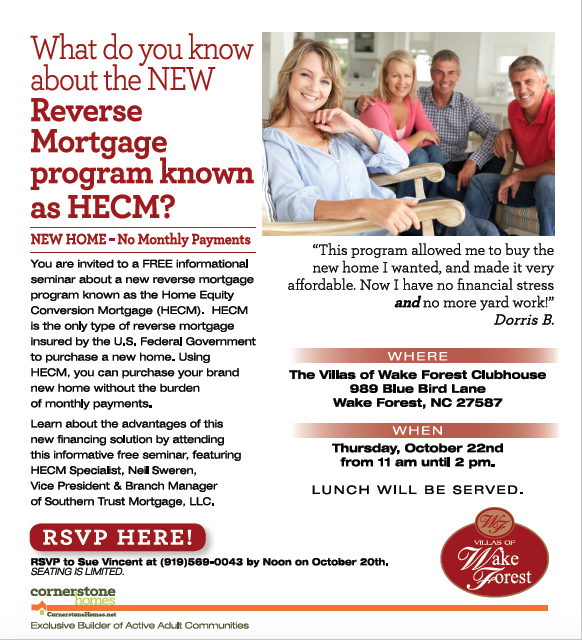 RSVP to our Reverse Mortgage program seminar at The Villas at Wake Forest by contacting Sue Vincent at 919-569-0043 or svincent@cornerstonehomes.net. We hope to see you there!